L–R Winning Combination: Katelyn Hennessy, Taylor Fitzgibbon and Leah McDonald of Scoil Chriost Ri, Portlaoise with IT Carlow Head of Department of Built Environment, Edwin Landzaad. The Department of Built Environment at IT Carlow recently hosted a Secondary Schools debating competition, sponsored by the Society of Chartered Surveyors Ireland (for the second year running) and Purcell Construction. The competition, now in its second year, encourages pupils to explore topical issues within the Built Environment Sector through the means of an inter-schools debate. Held during Carlow IT’s Open Day, applicant numbers doubled from last year. Each school team participated in a qualifying round and had one week to prepare a debate for or against the motion ‘This house believes that economic growth is inextricably linked to growth in the construction sector’. Scoil Chriost Ri, Portlaoise and the Ursuline Secondary School, Thurles were named as finalists and were given the opportunity to construct proposing and opposing arguments respectively for the motion ‘This house believes transition year should be abolished’. Open to secondary school students, the finalists were all in transition year and so brought excellent personal experience and strong rebuttle to this tense final round. 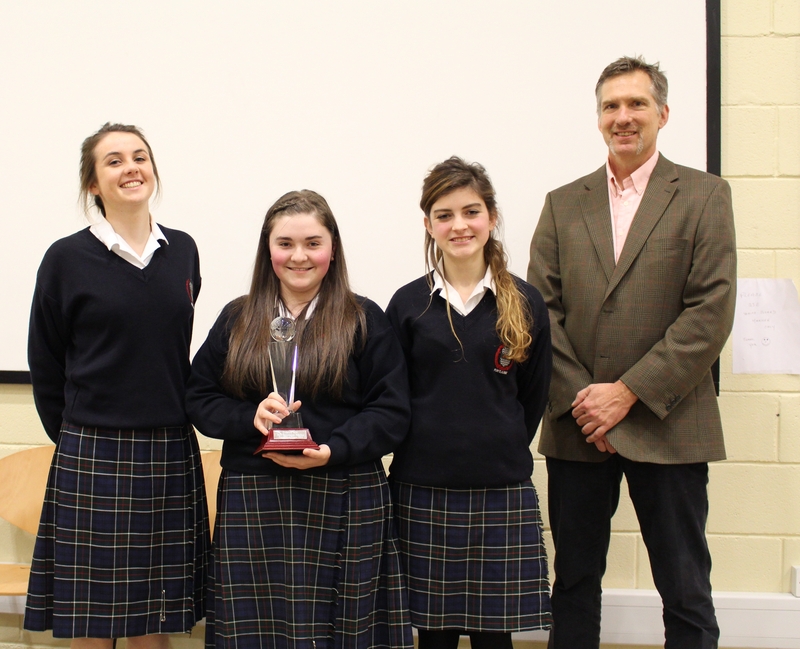 Taylor Fitzgibbon and Leah McDonald from Scoil Chriost Ri, Portlaoise were eventually named as the winning team with Rachelle Bowden and Molly Kavanagh of the Ursuline Secondary School Thurles as runners up.